The AC/DC sensitive ground-fault monitoring modules RCMB20-500-01 and RCMB35-500-01 are used for fault current monitoring in systems with frequency converters where direct and/or alternating fault currents are likely to occur. 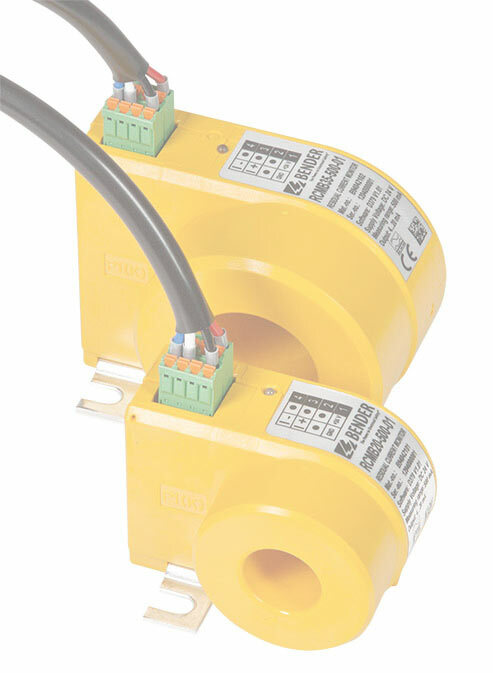 Each module has to be installed and connected in the cable connection compartment in front of the mains input of the frequency converter. Both variants of the modules provide an output signal 4…20 mA proportional to the residual current.